Our pillows are filled with 100% lavender buds for your beautiful home! As far back as the Roman era and the Middle Ages lavender has been used to keep away illlness, bad smells, and insects. Use our cotton covered pillows in your bedroom to promote good sleep or in your living room for a marvelous scent from another time. It travels well too! Made with lavender buds grown on our own farm without pesticides or herbisides. Cotton cover is removable for washing. 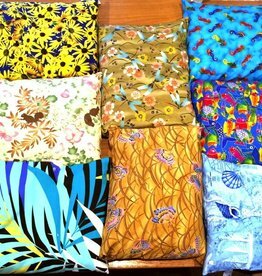 We have many beautiful fabric prints, too many to show online, so please specific first & second color choices (blue, greeen, red, or purple etc) and we will try to match your choice. Decorate and scent your house with this beautiful pillow.